Our idea and goal is to care about the health and beauty of our guests. 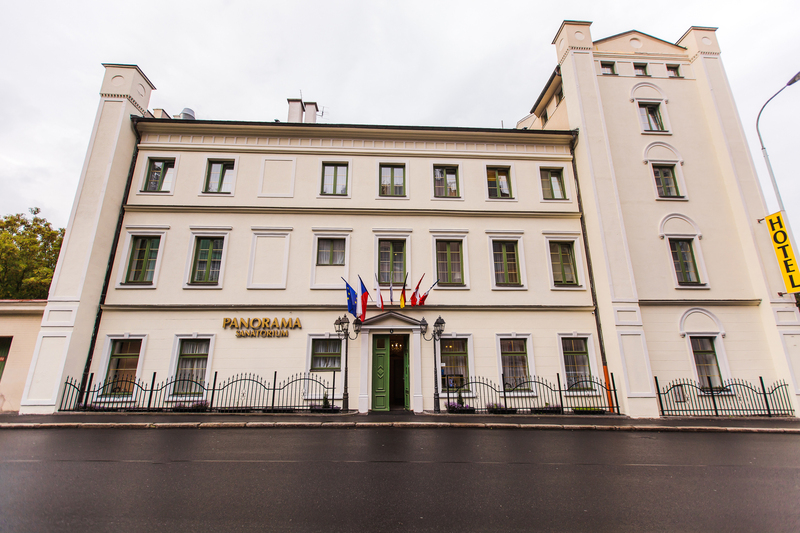 SPA HOTEL PANORAMA is located in the very heart of Karlovy Vary, just ten minutes walk from the main mineral spring and the main street, which offers its visitors various shopping possibilities, cafes and restaurants, where in summer you can enjoy the time sitting in the fresh air. 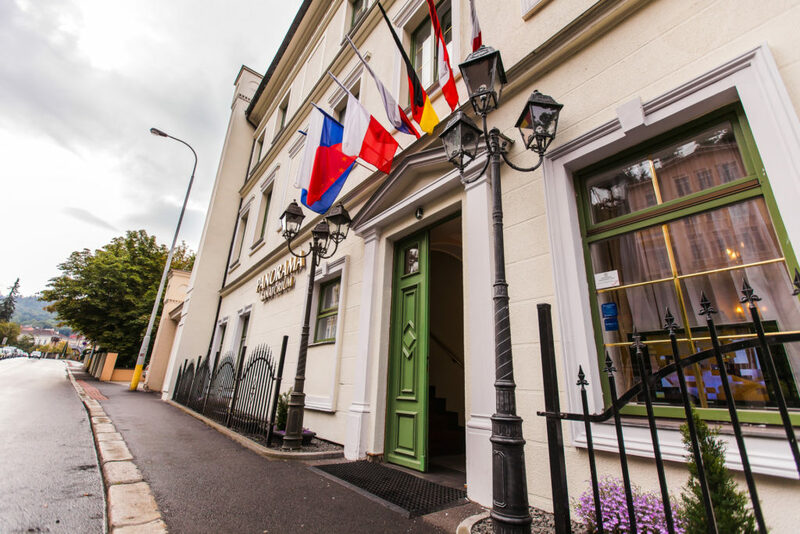 Also you can visit Karlovy Vary Theatre and numerous other cultural opportunities. 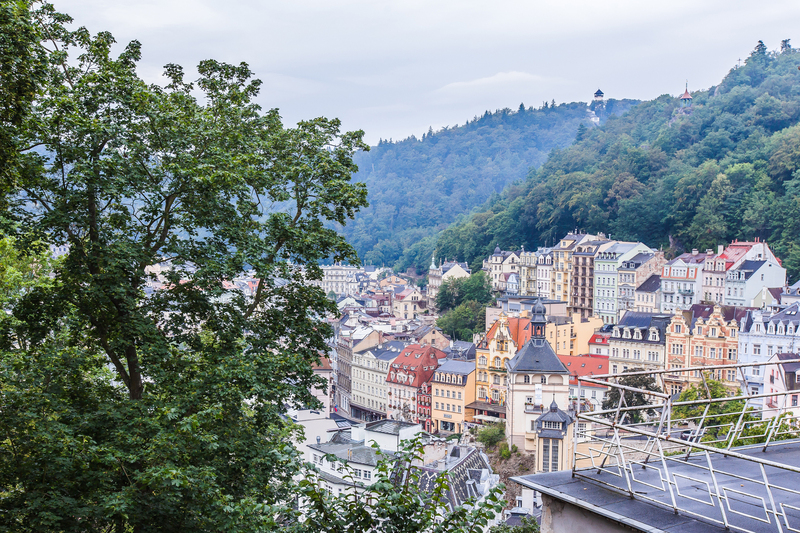 From the terrace of SPA HOTEL PANORAMA opens a panoramic view to the recently restored spa area of Karlovy Vary, one of the most beautiful places of the Czech Republic. From another side of the hotel guests can have peaceful walk in the fairy forest. Since 1845 the hotel has a long accommodation tradition with high level of services. In 1999 the hotel was fully restored and replanned as a sanatorium with complex balneological procedures and modern interior. SPA HOTEL PANORAMA offers accommodation in 20 rooms and 2 suites, a restaurant, terrace and parking near the hotel, spa complex treatment, medical and relax treatment. Standard check-in time from 2 p.m., check-out from 11 a.m.. This time can be changes on your request. Possibility to keep your baggage at our hotel. Room cleaning is carried out in accordance with strict hygienic standards. Before guest check-in the room is thoroughly cleaned and sanitized. we also can offer for our guests laundry and ironing services for additional fee. Copying and printing of documents, using of fax. Complementary WiFi access in every room and in business center near reception desc. Information on telephone numbers (personnel on reception desk will provide you with the informarmation on telephone numbers). In order to get the information on public transport timetable and flights schedule or booking the ticket just contact our reception desk. We also offer a wide range of trips and excursions in Karlovy Vary, Karlovy Vary District, in the Czech Republic and other countries.